In the early morning hours of June 12, a lone gunman entered the LGBTQ Pulse nightclub in Orlando, Florida and opened fire, killing 49 people. The shooting, which left at least 53 injured, was quickly classified as the deadliest mass shooting in U.S. history. In the days that followed, grief-stricken families and friends banded together for support, looking for ways to make sense of the tragedy — and amid the chaos of the 48 hours that followed, a community stepped forward to help them heal. Strangers offered help in identifying the locations of those still being treated by doctors and EMTs; Reporters and photographers offered mothers and fathers a shoulder to cry on while they waited for news of their children’s whereabouts; And after a call on social media stating that victims were in dire need of transfusions, volunteer donors began pouring in, lining up in queues that extended around the blocks of several nearby blood banks. Spurred on by its mission to spread kindness and love, the Random Acts team constructed a volunteer plan of its own, hoping to give back to the grieving community and the courageous emergency responders who toiled through the night and following days to bring some semblance of peace to Orlando. Teaming up with a group of incredible individuals from Full Sail University and Orlando Power Yoga, Random Acts team members and supporters went to work, gathering the necessary supplies to assemble thousands of care packages, some of which were then distributed to law enforcement, K-9 units, and emergency personnel. The remaining packages were later handed out to attendees at a candlelight vigil at Lake Eola that night, at which some 50,000 were in attendance, according to organizer estimates. Inside each care package was a handwritten note, giving thanks to the community for its strength and for doing whatever it could to uplift those affected by the incident. 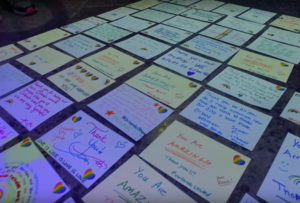 Some notes carried simple messages, reminding the giftee that while hate could steal headlines, it would never be able to set itself in stone the way that love could. The response to Random Acts and Full Sail University’s collaborative effort was inspiring, with some supporters driving hours to lend a hand on their days off. 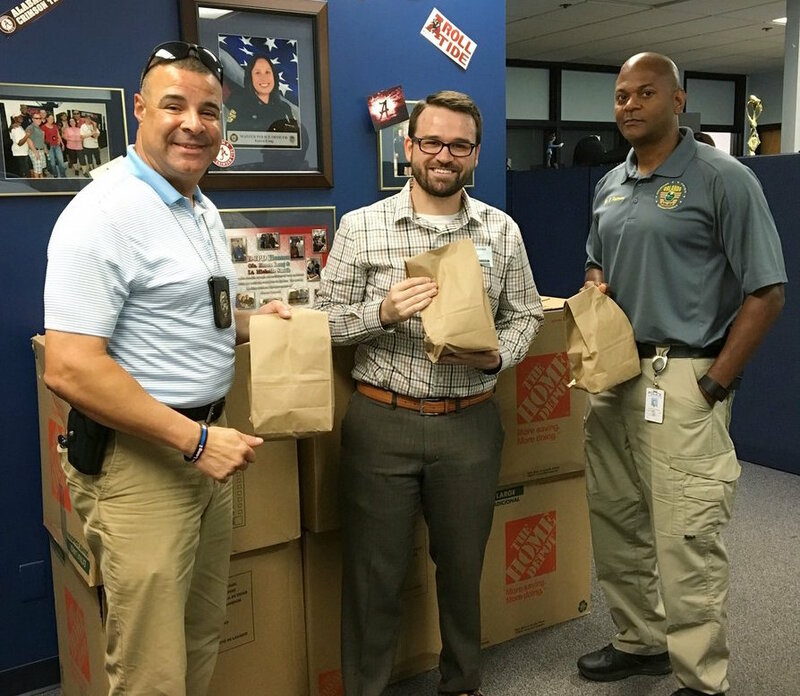 A few of Random Acts’ former Dreams to Acts: Nicaragua volunteers made the trip as well, filling paper bags with snacks, notes, and treats for the K-9 units. In total, the Random Acts team (led by senior design officer Sam and her husband Tyler, and regional events officer Natalie), along with scores of Full Sail University volunteers, were able to assemble and distribute some 1,500 care packages by day’s end. Of course, numbers are just numbers. The real proof that the project had been a success was evident in every downtrodden spirit lifted with a smile, every hand covered with colorful marker stains from a day spent writing kind notes, and every embrace shared between strangers, each standing together to prove that, once again — as it always does — love had won.